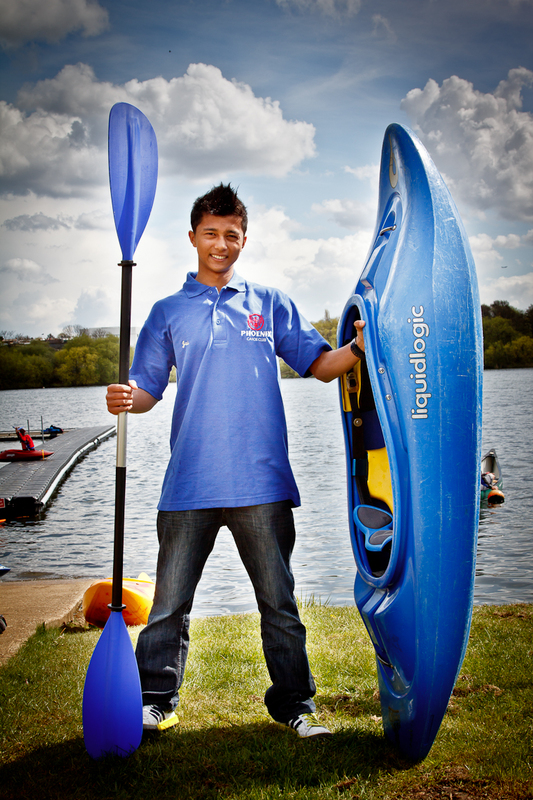 Kingsbury High School pupil, Jai Padhiar has been chosen as one of the 8,000 inspirational people who will carry the Olympic Flame as it journeys across the UK. Jai, 16, was nominated by his dad, who outlined all of Jai’s sporting interests and achievements and charity work to date, and this nomination was selected out of tens of thousands of nominations. In addition to this once-in-a-lifetime opportunity, Jai has also been selected with part of his Canoe club to be an Olympic Game Maker. Phoenix Canoe Club, based in the Welsh Harp, applied as part of a team and were then involved in a selection process in which they were assessed on various activities. Jai interest in sports started at a young age and in recent months he has raised money for charities such as Great Ormond Street and Alzheimer’s research. In order to keep the torch, torch bearers have been asked to pay for it themselves – costing a total of £250. Yassine Elhasbaoui, Head of Year 11, at Kingsbury High School asked members of staff to donate to assist Jai in funding the torch. The school raised £154. The school will ask to borrow the torch for display during the period Jai is at the school and he will take it with him when he leaves. A further £50 has been donated by Sing and Sign a company of which Jai’s mother, Versha Padhiar, is a franchisee in the North West London area. Sing and Sing teaches babies how to communicate with adults through signing before they are able to speak. Jai’s moment to shine will be on Wednesday 25th July at 9.59am, Peterborough Road, Harrow, HA1 2AX. The Legacy Garden was proposed at a meeting of Kingsbury High School’s 2011-2012 Young Enterprise Company, Kool Kids Cook. This company encouraged young people to cook and to grow: the garden was envisaged as an enduring development of this idea. Initial funding for the project was provided by year 13 student, Kavita Jagwan. Kavita, Managing Director of the successful 2010-2011 Young Enterprise Company, Imagine, generously donated her Jack Petchey Award to the garden project. Three dessert apple trees (Sunset, Falstaff, and Queen Cox), plus a Lord Derby cooking apple tree have already been planted. They should grow to a height of about 9 feet on maturity. Shrubs have been pruned and a curving path has been laid through to make an active entrance to the garden. Headteacher, Jeremy Waxman, has been very supportive of the Legacy Garden, and as a result two benches will soon be installed to create a more relaxing environment. Mr S Wood, who is retiring in July after 29 years service to the School, has kindly donated his Jack Petchey Award, and this will be used to enhance the planting in the Legacy Garden: some raised beds and box hedging are our next targets . It is hoped the Legacy Garden will become a valued feature of KHS. On Thursday 12th July 2012, Kingsbury High School students from all years took part in a massive LEGO® building project in which they built an Olympic venue from thousands of LEGO® bricks. (kindly provided by LEGO® Education UK). They constructed the different components of the venue including the stadium, competitors’ village and transport system. They even included an Olympic sized swimming pool. During the building of the competitors’ village the students constructed athlete accommodation including a bed, shower and TV. The attention to detail in the completed venue shows just how much pride the students took in the project. More photographs of the KHS LEGO® Olympics and much more besides can be found on the KHS Technology Blog. Kingsbury High School students will form a Guard of Honour to line the route as athletes make their way through the Olympic Park into the Olympic Stadium, for the London 2012 Olympic Games Opening Ceremony. At the start of the Athletes’ Parade, during the athletes’ procession from the Olympic Village to the Olympic Stadium, the students who will join 249 other schools from across the UK and make up the 2,000 student Guard of Honour will line the route, holding lanterns and banners they have created to support one of the 204 competing teams. For many of the 10,500 athletes the Guard of Honour will be their first experience of the London 2012 Games. The school children have been preparing to provide a vibrant and diverse welcome for athletes competing at the Games. The students are already learning about the cultures and athletes of Eritrea team as part of their celebrations for London 2012 World Sport Day taking place next month on 25 June. World Sport Day, presented by Lloyds TSB, will see schools across the UK join together in celebrating how sport can bring the cultures of the world together. They will support the athletes of the Eritrean team. 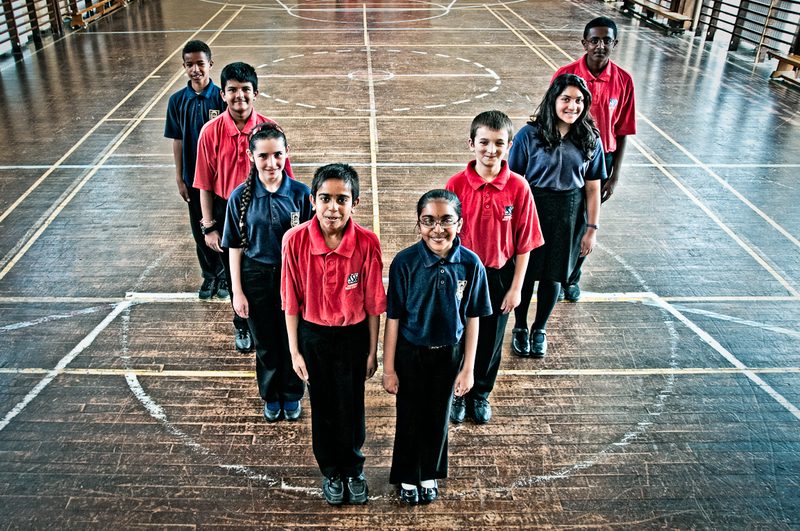 Kingsbury High School have been selected through the reward and recognition programme of the Get Set network, the official London 2012 education programme. They have demonstrated a commitment to living the Olympic and Paralympic Values and incorporating them into their school lives and curriculum. For World Sport Day, Kingsbury High School held a festival in which information about Eritrea was explained to primary school children. The Eritrean flag was given pride of place at the event. As well as having the opportunity to cheer on the world’s best athletes and be part of a global moment, the school children will also get the exciting chance to tour the Olympic Park and see some of the London 2012 venues before the world turns its attention to Danny Boyle’s Olympic Games Opening Ceremony in the Olympic Stadium later that day. The Athletes’ Parade will see the participating teams enter the Stadium, nation by nation. Teams enter in alphabetical order, according to the language of the Host Country and IOC protocol order, apart from the Greek team which enters first for the Olympic Games, and the team of the Host Nation (Team GB), who enter last. Award-Winning Poet, Daljit Nagra, lead a poetry masterclass at Kingsbury High School’s ‘Kingsbury Coming Together’ event on Saturday 30th June 2012. Look We Have Coming to Dover! author, Daljit, lead the class of students in the ‘Literary Tent’ before taking to the stage and reading extracts from his verse novel, soon to be published by Faber, based on the Ramayana, a classical Indian text. Attendees of the class, joined Daljit on stage to read work they created at the event. The ‘Literary Tent’ at ‘Kingsbury Coming Together’ hosted poetry and spoken word events by staff, students and guest speakers. Events at the tent, colloquially known as the ‘Quirky Tent’ were put together by Kingsbury High School staff to promote a love of books, poetry and spoken word from a variety of cultural backgrounds. ‘Kingsbury Coming Together’ also entertained a range of stalls and activities. 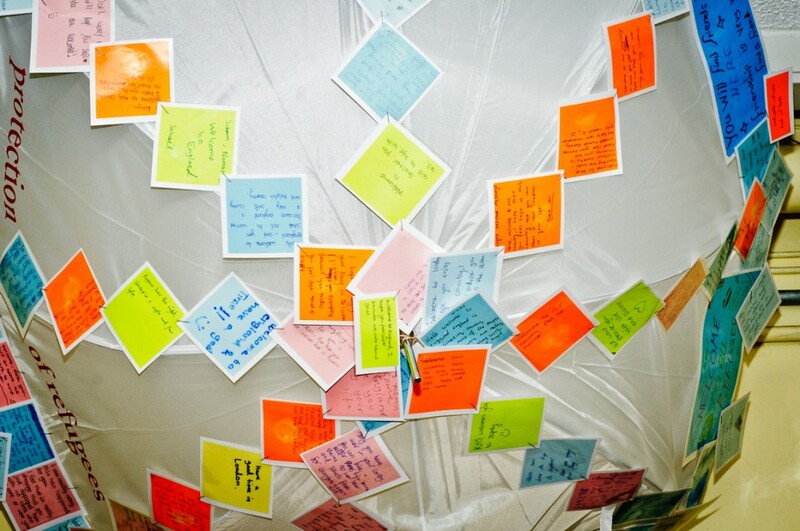 During Refugee Week, (18 – 24 June) Kingsbury High School students wrote messages to asylum seekers and refugees on the theme of ‘Welcome.’ The messages were displayed on an umbrella, symbolising the protection and safety offered by the UK, and displayed in the school foyer.